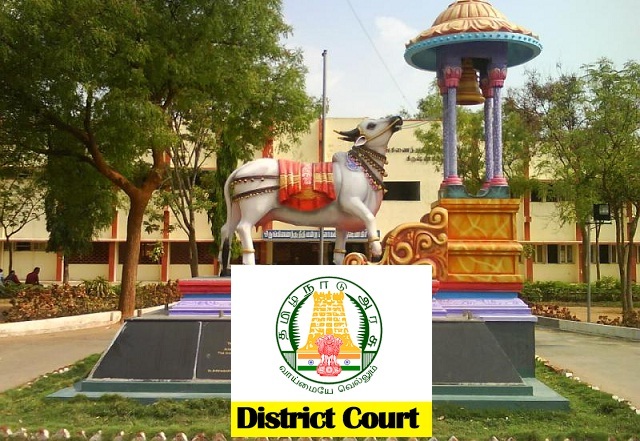 Krishnagiri District Court Recruitment 2018 2019 Application Form for 07 Steno-Typist Grade III Posts Download Application through Official website https://districts.ecourts.gov.in/tn/krishnagiri. The last date for submission of applications is 13.08.2018. More Job Details Are Given Below. All the application with recent passport size photos affixed and duly self attested on the right margin of the application in the space provided, as mentioned should be submitted along with self attested copies of all the testimonials, certificates only by post on or before 13.08.2018 at 5.00 PM to the under mentioned address through Registered Post with acknowledgment. RAYAKOTTAI ROAD, KRISHNAGIRI - 635001.